Melissa Range left eastern Tennessee more than two decades ago but her Appalachian roots are evident every time she opens her mouth. “I refuse to have my Southern way of talking scrubbed off my tongue,” Range says with a laugh. Range’s identity has very much to do with where she was raised. Although she left Appalachia when she became an adult, she says she is constantly exploring through poetry the deep connection she has to that area. Since the election two weeks ago, much attention has been given to this “second America” where people have felt left behind from the rest of the country, Range says. She is quick to note that they didn’t all vote for Donald Trump. Many in her family voted for Hillary Clinton and were Bernie Sanders supporters before that. She does admit that folks in the region often feel ignored by the rest of the country. Range says she wrote “Crooked as a Dog’s Hind Leg,” a poem that defies gender expectations, as an elegy for her grandmother. Woven throughout is the image of her grandfather, whom she says was a good person, but could not be depended on because of his alcoholism. women are born with where I’m from. as a woman with crooked roots knows she can. its blood crashing in circles? until I slipped my rigging? Excerpted from Scriptorium: Poems by Melissa Range, A National Poetry Series Winner Selected and with a Foreword by Tracy K. Smith (Beacon Press, 2016). Reprinted with Permission from Beacon Press. 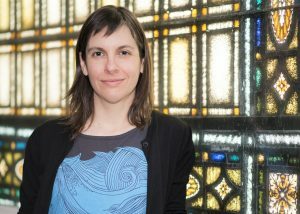 Melissa Range has just published her second collection of poetry, “Scriptorium.” She is the recipient of awards from the National Endowment for the Arts, the Sewanee Writers’ Conference, the Fine Arts Work Center and the Rona Jaffe Foundation. 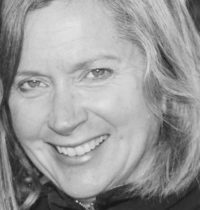 Her first book was called “Horse and Rider.” Originally from East Tennessee, Range currently lives in Wisconsin and teaches at Lawrence University. Left: Melissa Range's new collection of poetry is called "Scriptorium." Photo by Justis Poehls.